Calling all Crafters! 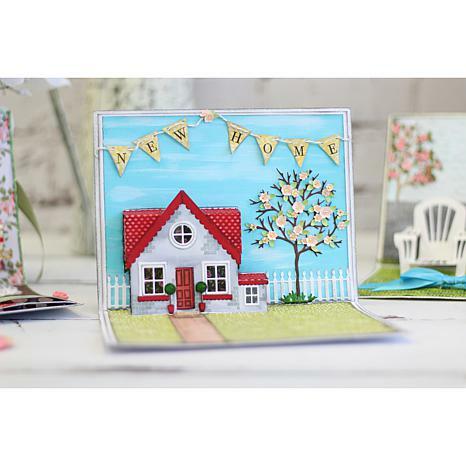 HSN is offering Crafter's Companion Dimensional Dies Papercrafting Bundle for $74.95 (Retail $174.79). Crafter's Companion Dimensional Dies Papercrafting Bundle Crafting is about creating. With this bundle you'll have everything you need to create beautiful, dimensional projects for a variety of occasions. Versatile dies, stamps and embossing folders — plus a coordinating paper pad and an instructional DVD — mean there's no limit to how much texture and detail you can add. -Some dies may have sharp points, edges or corners. -Exhibit caution when using these dies and do not leave them unattended near children. -Not intended for use by any child under the age of 14.